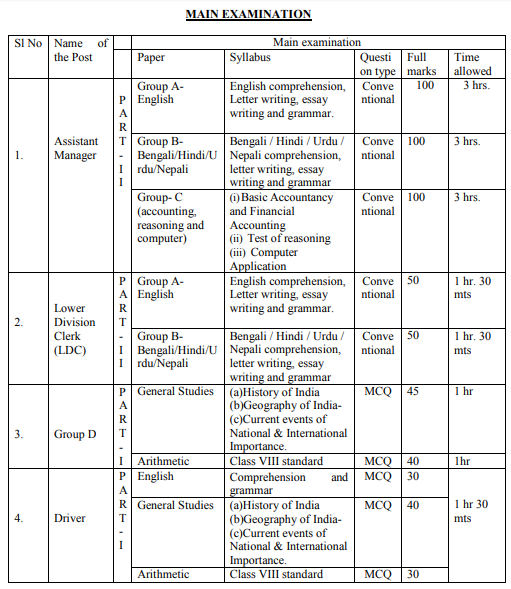 Download the subject wise WBMDFC Previous Papers from this page. Also, those who have applied for the released West Bengal Minorities Development & Finance Corporation (WBMDFC) Recruitment 2019 must and should focus on this page. The officials are planning to conduct the Prelims & Mains Examination in March 2019. So, you must start preparing for the test to perform well. We have also given you with the direct links to download the Assistant Manager, Lower Division Clerk (LDC), Group-D, Driver Old Papers, and also the wbmdfc.org Selection Process. By notifying the proper West Bengal MDFC Exam Pattern, candidates can easily crack the test. 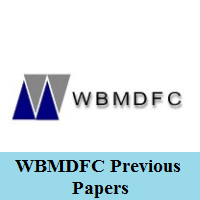 So, download the available WBMDFC Assistant Manager Previous Papers in PDF format for free of cost. To get hired by the officials of the, you need to qualify in all the rounds mentioned within the wbmdfc.org Selection Process 2019. So, check out the procedure and then prepare. 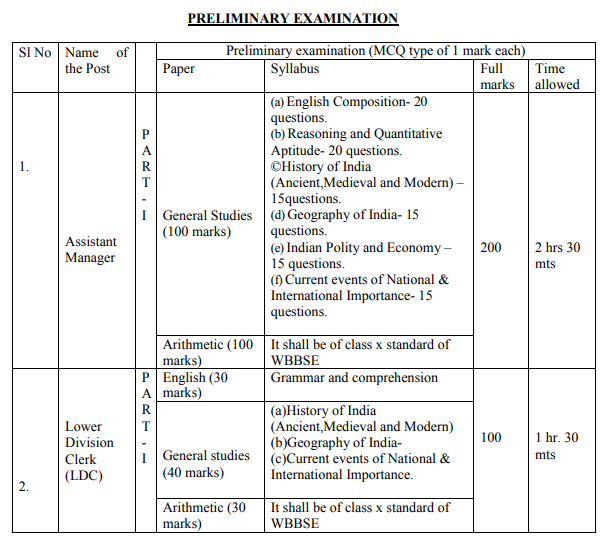 Soon after notifying the wbmdfc.org Selection Process 2019, you need to observe the West Bengal MDFC Exam Pattern 2019 from this section. We have given you the exact WBMDFC Exam Pattern for the Preliminary & Mains exam. So, candidates can directly check the below patterns to start preparing for the test. Moreover, everyone knows that clearing the WBMDFC Prelims and Mains Exam is very tough. So, we here help you with all the stuff to clear the examination with the preparation of the below subjects wise Assistant Manager, Lower Division Clerk (LDC), Group-D, Driver Old Question Papers. And we have a solution for clearing the written exam. And that is perfect preparation. Below are the downloading links to take the পশ্চিমবঙ্গ সংখ্যালঘু উন্নয়ন ও অর্থ কর্পোরেশন LDC, Group D, Driver Model Papers easily from this page. Moreover, we presented not only the Model Paper PDF’s but also we included the solved questions with the appropriate answers. We hope that candidates who are searching for the WBMDFC Previous Papers will be benefited from these details. So, you can also check our Freshers Now webpage to get all the details stuff and also exciting updates.